Monitor and improve the customer journey. Learn where your customers get stuck, what experiences impact loyalty. For example, monitor onboarding, support interactions and pre-renewal relationship — the three key touchpoints for SaaS success. Microsurveys garner high response rates and get you the info you need to act. Wait! 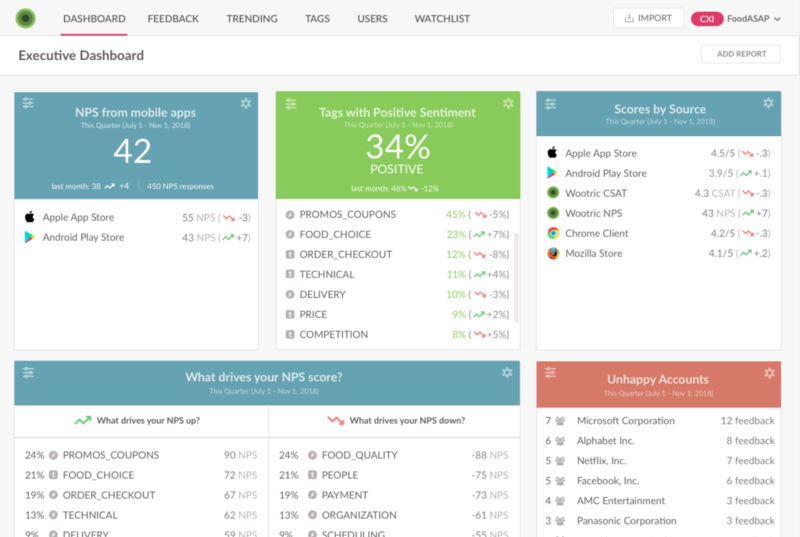 What are CSAT, NPS, & CES exactly? Give me the details. Close the loop with customers in Wootric or use your system of record. Identify seeds of churn early. Act quickly to keep the relationship on track. Take strategic action to improve customer experience. Understand why your customers love you or don’t — at scale. 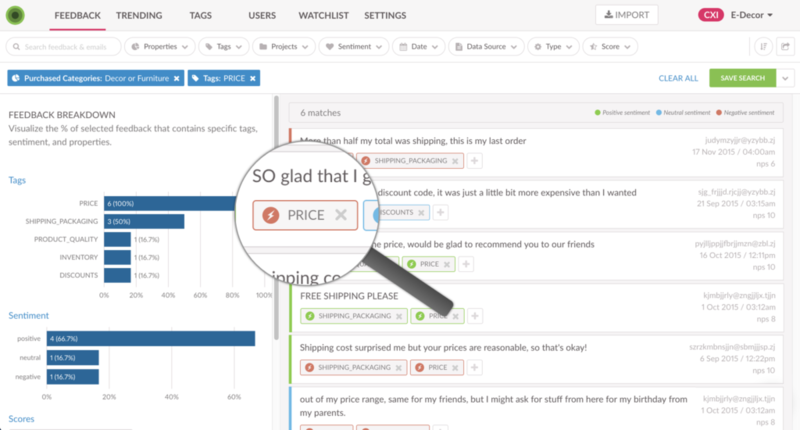 Machine learning auto-categorizes customer comments so you can see at a glance what is most important to tackle. Get deeper insights into your data– without a data analyst. Our easy, elegant dashboard lets anyone on your team slice & dice the data by your business drivers. Set up custom dashboards and trend reports. 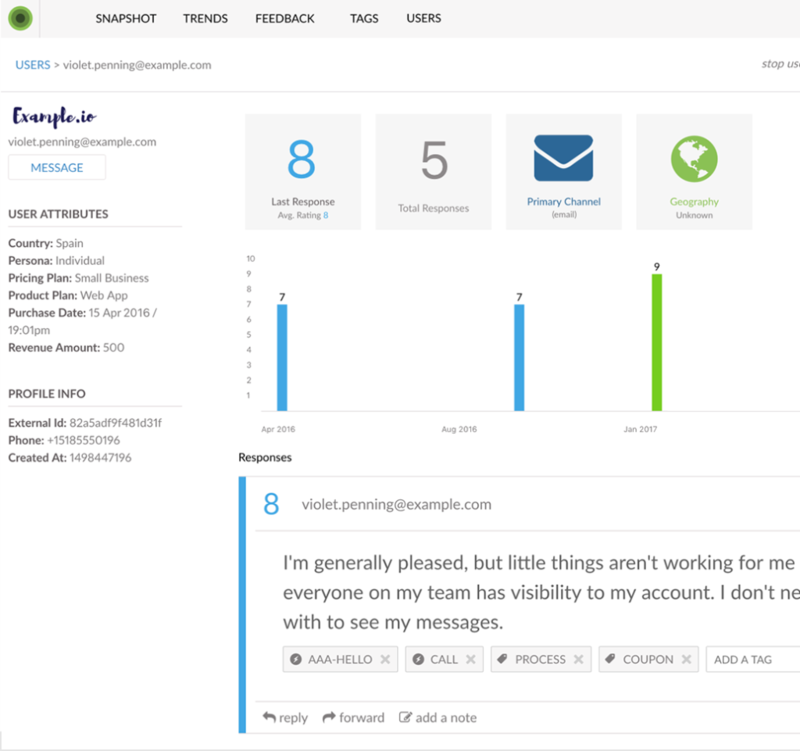 Alerts notify you and your team when customer sentiment shifts. Surface issues, prioritize product improvements, or route for follow up. Wootric is best in SAAS! Customer profiles show you how your relationship is changing over time. Get the full picture of a single survey respondent. See their responses over time. Opt customers out of surveys. The Enterprise features you need. 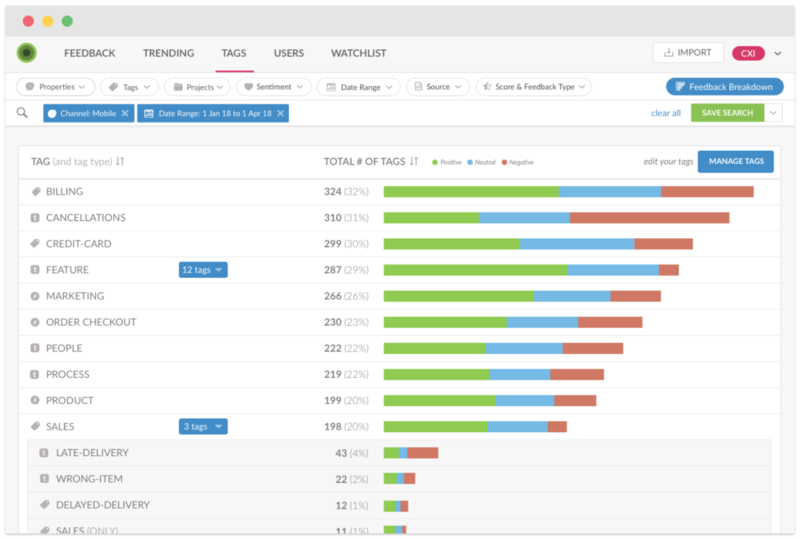 Share VOC data across the company with 3 levels of user access. Use our API or outbound webhooks to send data to your systems of record. Alternatively, leverage our Zapier integration. Ask Net Promoter and other CX questions in any language.